There are many reasons why we need to go shopping. 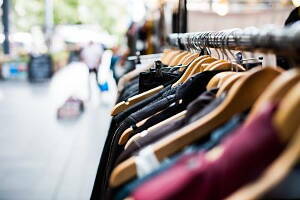 Price and quality seem to be the main two factors that people keep in mind while choosing a store. The truth is that it all depends on what kind of shopping we need at the time. However, we can have good or bad shopping experience depending on the location, dimensions and the efficiency and kindness of the employees. These really can make a consumer loyal to a shopping store. Nowadays, people try to buy online all kind of articles either is food, clothes or devices. It is claimed that it is more comfortable and sometimes cheaper. Nonetheless, visiting mall stores and any other commerce have important advantages. When it comes about clothes shopping and looking for the latest fashion trends, going shopping may even become a social event when you go to big shopping centers with your friends. Being in front of the clothes allows you to personally check the quality of the materials, better recognise the colours and whether the piece fits you well or not. For example, you can buy footwear online and not realize it hurts you until you get it home, unlike in the shoe store. Moreover, you can take it home straightaway instead of waiting for it. In the best shopping malls in Islamabad you will find different shops for every product, outlet stores and other entertaining activities and restaurants. However, some days it can be too crowded and it would be a better idea to go to other little stores. With food and daily products happens kind of the same. You can check the state and dates of the food better when picking it up at the supermarket rather than online. If you want to know where are is the nearest shopping center to your location, the best shopping squeres and what mall center are open today in Islamabad, Infoisinfo is your website. Infoisinfo wants to make you able to find the best shopping deals and quality products all over Islamabad. It doesn’t matter what your needs are, you will find the best shops in Islamabad to do shopping thanks to our list. From large malls to little gift stores or supermarket, for example. We’ve written down contact details like websites and phone numbers as well as the location of stores and opening hours. You can also have a look at the comments and reviews from other shoppers, what can be very helpful to get a first impression before heading to the store. office.35/masood arcade i G P road islamabad, I-8. Islamabad. Islamabad Capital Territory. Sunny Mobles H-8 Jinnah Road, P.O. Box:, Punjab. Islamabad. Islamabad Capital Territory. 8-A, Street 12, F-8/3, Capital. Islamabad. Islamabad Capital Territory. 18, SPA Plaza, Supermarket, F-6/Markaz. Islamabad. Islamabad Capital Territory. NETZONE is located in 18, F-6/Markaz Islamabad, Supermarket, SPA Plaza, Pakistan. If you have any questions, please contact us. Company is working in Hardware Stores business activities. Shop #2-B, Block 12-B, Jinnah Super Market. Islamabad. Islamabad Capital Territory. Company is working in Books business activities. OLD BOOK COLLECTION is located in Shop #2-B, Jinnah Super Market Islamabad, Block 12-B, Pakistan. #6 & 7, Mezz. Floor, Blue Area, Capital. Islamabad. Islamabad Capital Territory. Nasr Chambers, Block-19 Markaz F-7, Capital. Islamabad. Islamabad Capital Territory. Company is working in Books business activities. BOOK TRADERS - ISLAMABAD is located in Nasr Chambers, Pakistan, Capital, Islamabad 44000, Block-19 Markaz F-7, Pakistan. Plot # 60-H, Street # 07, Industrial Area, Sector I-10/3, Federal Capital, Federal Capital Area, Capital Territory. Islamabad. Islamabad Capital Territory. 7, Shalimar Plaza, Jinnah Avenue99-West, Blue Area, Capital. Islamabad. Islamabad Capital Territory. I & T Centre, G-9/4, Capital. Islamabad. Islamabad Capital Territory. Company is working in General Merchandise business activities. AHMAD INTERNATIONAL is located in I & T Centre, Pakistan, Capital, Islamabad 44000, G-9/4, Pakistan. 699, Aabpara Market, First FloorNear Bata Shoes, Capital. Islamabad. Islamabad Capital Territory. Company is working in Books business activities. DAR UL ILM is located in 699, Pakistan, Capital, Islamabad 44000, First FloorNear Bata Shoes, Aabpara Market, Pakistan. Shop No.6, Kashmir Plaza Blue Area, Capital. Islamabad. Islamabad Capital Territory. Bait-e-Mohammad Main Golra Road, Capital. Islamabad. Islamabad Capital Territory. House No.NA-18, 7th Road. Islamabad. Islamabad Capital Territory. Company is working in Consultants business activities. BUSINESS MANAGEMENT GROUP (PVT) LTD. is located in House No.NA-18, 7th Road Islamabad, Pakistan. Shalimar Plaza Blue Area, Capital. Islamabad. Islamabad Capital Territory. Show Room 6, 16D Safdar Mansion, East Blue Area. Islamabad. Islamabad Capital Territory. 5-B/21, Civic Centre, G-6, Capital. Islamabad. Islamabad Capital Territory. # 6, Street 15, F-6/3, Capital. Islamabad. Islamabad Capital Territory. P.O. Humak, Capital. Islamabad. Islamabad Capital Territory. A.R. Foods (Pvt) Ltd. is located in Islamabad, Pakistan. If you have any questions, please contact us. Company is working in General business, Food retailers business activities. 89-W, Blue Area Quaid-e-Azam Boulevard, Capital. Islamabad. Islamabad Capital Territory. Blue Area Jinnah Avenue, Capital, Sindh. Islamabad. Islamabad Capital Territory. Level 02, Suite-3, Panther Plaza, Plot No.16-B, F-8 Markaz. Islamabad. Islamabad Capital Territory. Office # 5, 1st Floor Zahid Plaza, I-10 Markaz, Capital. Islamabad. Islamabad Capital Territory. Lok Virsa Building Super Market-I, Capital. Islamabad. Islamabad Capital Territory. Company is working in Books business activities. VANGUARD BOOKS (PVT) LTD. is located in Lok Virsa Building Super Market-I, Pakistan, Capital, Islamabad 44000, Pakistan.